The rose is caught in a bottle. Rescue and take them with you. And let them breathe in the fresh air of Skyrim. to translate the esp and upload it to other site. to translate and upload .xml file for tesvTranslator to other site. to translate the esp and upload it to Nexus site. All three above are allowed to do without my permission, but with proper credit of course. to upload meshes and textures of this mod to any other site. But, if there is a special reason like people in some country or region have difficulty to access Nexus site, tell me that. I'll consider it again individually. Do not use/re-upload/edit my screenshots, images, and gif. Never. About other Nexus site members' screenshots on this page, ask every single one of them to get permission if you want to use their work. AltheaR, animation and re-color of textures. This mod adds 36 hair accessories of animated rose. Bald person can wear them too. The rose is caught in a bottle on the desk of Farengar in Whiterun, Dragon's Reach. At v2.0, a little Supervisor Rosy works hard on the same desk. Take her roses with you and go on a grand trip to the world. And:Single and triple roses for each. People after death can wear them too. v2.0:Not so deadric petals variation is added. Fixed BSX flag of ground meshes to avoid random CTD. Added golden colored with clockwork animation ones. Fixed normals partially flipped for all meshes to delete black stripes. Meshes and textures are copyrighted by Bethesda Softworks. You are not allowed to port this file to any other games. I'm going to port it to Special Edition in the future, so you are not allowed to port it to SE so far. You can use these assets for Skyrim (LE) only with proper credit for me(AltheaR). 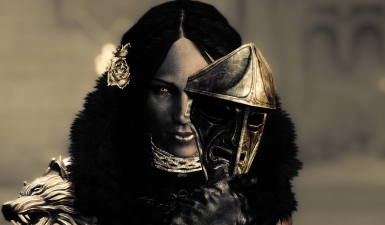 But you are not allowed to upload this mod to any other site than Nexus (https://www.nexusmods.com/skyrim/). You are not allowed to use this file for any commercial usage or paid things. About translation, look at the "permission and credit" section on this page.